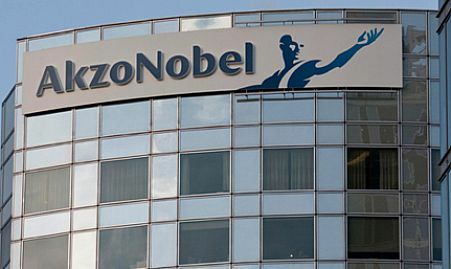 Dutch chemicals group AkzoNobel, one of the world’s largest paint and coatings makers, is in talks with rival BASF over a deal to buy the German chemical group’s industrial coatings business. Several people familiar with the matter had told Reuters in November that BASF was planning to sell the business – which makes coatings for steel and aluminium bands that are processed into facades, refrigerators and window blinds – in a deal worth up to about 500 million euros ($566 million). HSBC was advising BASF in the process, the sources said at the time. In a statement on Thursday, AkzoNobel said that talks with BASF were part of its pursuit of „value-generating bolt-on acquisitions“. Akzo and BASF declined to give further details. BASF, the global chemical industry leader by sales, has said it was ready to seek new owners for businesses that have come under too much pressure from low-cost rivals. It is currently splitting off its pigments business ahead of a potential sale. Unlike BASF’s much larger automotive coatings business, the industrial coatings operation is seen as lacking the scale to compete effrectively in future, industry experts have said.